Any time a die is rolled or a coin is flipped, probability comes into play, determining the outcome of the roll or the flip. Studying probability enables you to better understand this fundamental concept of everyday life. Intricately connected with probability, statistics is the process of collecting, arranging, and analyzing data involved with events. 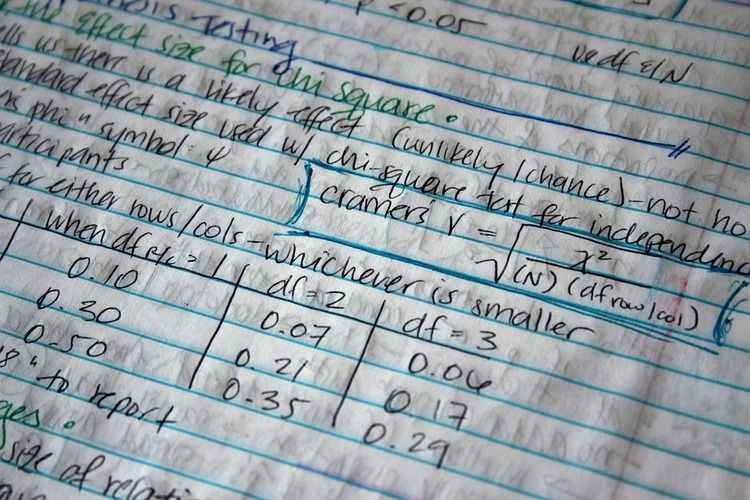 Probability and statistics are generally studied together, teaching you skills you can apply to many different areas of life, both professional and personal. A probability and statistics course will include subtopics such as arithmetic mean, distribution, analytics, and variance. Probability involves predicting the outcome of specific events based on the possible outcomes. Khan Academy offers a wealth of lessons, quizzes, and tests that can help you learn about and master probability and statistics. Learning about statistics and probability allows you to better apply critical reasoning to your planning and decisions. Get familiar with the words and ideas people use to talk about probability on this page. Complete this worksheet to draw box and whisker plots using the data provided. Solve this birthday problem by considering probability regarding matching birthdays between two people. Selecting lottery numbers can be a probability exercise, as gamblers try to predict which number combinations will win the prize. Figuring out the probability of an event can seem simple enough, but it’s not always easy to calculate the probability of multiple events and outcomes. Explore these problems that involve playing cards and math skills to deduce answers or arrive at a winning total. This dice game helps high school students learn about probability by rolling the dice and answering questions based on the numbers rolled. Take a 10-question quiz to see how well you score in your knowledge and understanding of statistics. This lesson plan presents probability to high school students, defining probability as the likelihood that something will happen. While there are many situations in life where probabilities are relevant, this is especially true of games and gambling. Play this game to advance to the top of the game board in any three of the columns, rolling the dice and moving markers. This statistics activity can help you learn how to differentiate between qualitative and quantitative data and arrange the results. Work on different math concepts using activities such as carrying out and analyzing an election and playing rock-paper-scissors. Use your understanding of probability and statistics to determine the probability of events, analyzing different outcomes and the odds and risks of each. In statistics, plotting out how common something is or how often it happens will often produce a bell-shaped curve known as a normal curve or bell curve. Standard deviation is a measure of how spread out the data is on a normal curve: If the standard deviation is smaller, that means that most of the results are clustered around the mean result. Understanding these concepts is key to being successful at calculating statistics. It might seem like statistics is a subject about dull math calculations, but when you start applying these ideas to real life, you can end up with some interesting puzzles with surprising results. This activity takes you through the process of determining probabilities of mutually inclusive events using an algorithm. The activities and worksheets in this workbook can help you learn how to collect and classify data to determine probability. Being able to simplify and calculate factorials is useful for figuring out probabilities. While your calculator will sometimes be able to handle the math for you, that won’t always be the case. It’s sometimes easier to understand the probabilities involved in a situation if you make a graph of the outcomes. A tree diagram can help you explore probabilities of outcomes while rolling dice or flipping a coin. This simple activity can help you understand probability using a die and a coin. Graph the results of the rolls and flips to see your results. Graphing your data can make it easier to understand and interpret. Try out these problems to practice working with probabilities. You can sometimes use different strategies to solve probability problems, including drawing a diagram or creating a chart of the data.